Curiosity completed its drive successfully after the science team regrouped from the incomplete drill, which required a different than anticipated weekend plan. The rocks of the Vera Rubin Ridge are just turning out to be harder than expected! In today's plan, we will continue to assess the compositional diversity of the Vera Rubin Ridge Pettegrove Point member. In this workspace, we planned activities for two contact science targets, with APXS and MAHLI imaging of the locations dubbed "Diabaig" and "Slioch". The Diabaig target has a purple hue in Mastcam imagery and appears to be relatively dust free, while the Slioch target is darker. The team could not find a suitable place to brush the dust away with a DRT activity since the local bedrock was extremely rough. In addition to these contact science activities, multiple ChemCam observations were planned along with the Mastcam documentation images. These observations will complement the contact science activities. 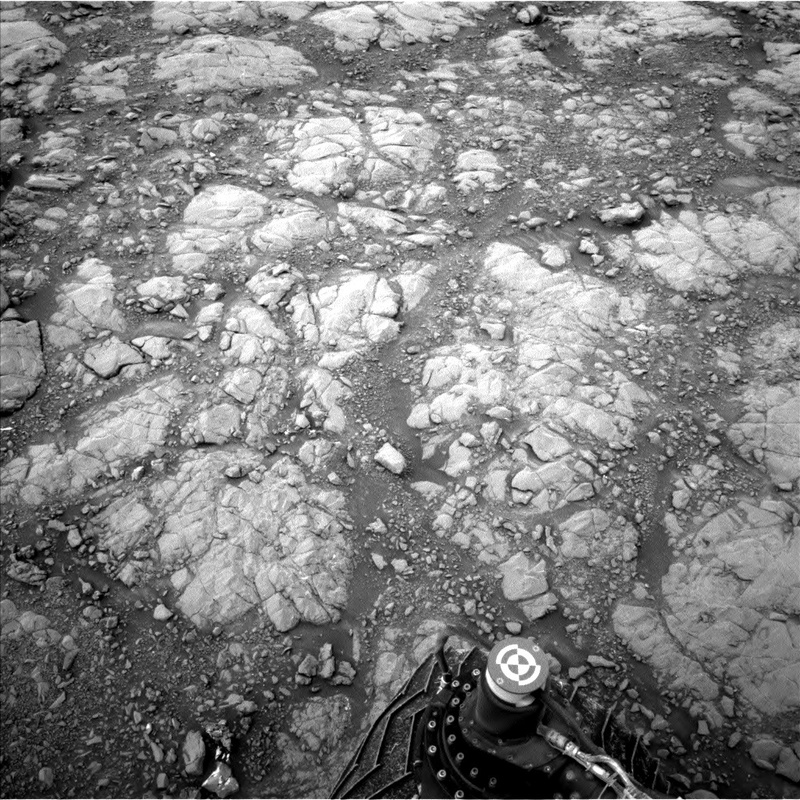 Over the next few days Curiosity will make its way to another location where we'll try to drill again. Data from when Curiosity previously visited the site where we will attempt to drill again indicates that the rock might be a little softer than where we last tried to drill a few sols ago. In the next few sols, we'll know more, but until then Curiosity will continue to characterize the diversity of the intriguing Vera Rubin Ridge.